In this article I am going to talk about building yourself a sustainable house. 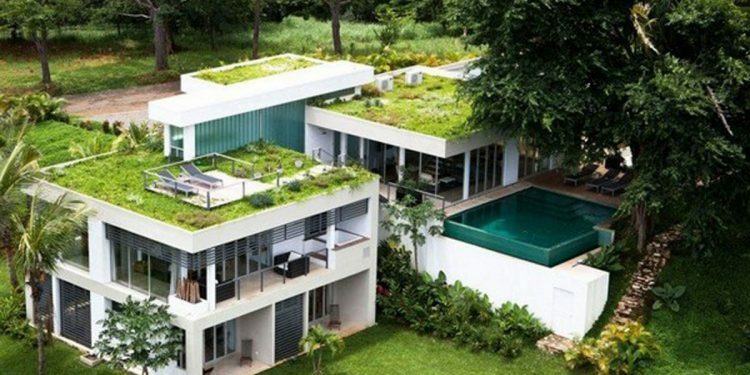 Sustainability should be something that all of us want in order to have a house that is both modern and ecological. The key for the future will be the sustainable living. In this article I am going to show you a few tips about how you can achieve that. Here are some tips regarding building yourself a sustainable house. This is the first step when it comes to a sustainable house. You should think where you will like to build your house first. It will be preferable to build your house near a road so you will have fast access to it. You should pay attention to your house size because it will matter a lot. If you want to build yourself a sustainable house than you should consider building one that has a smaller size. A larger house will use more materials. A smaller one can be more affordable than a larger house. After you know where the house is going to be located, you should orientate it so it will get maximum light and heat. The windows should be facing south. If they will be facing south, your house will get more heat. When your windows are facing south, you can plant some trees so their leaves will block the sun in the summer and they will let the sun in because in the winter the leaves will fall off. Building yourself a bigger house will mean that the loss of the energy will be greater. This is why you should build yourself a smaller house to keep all of the heat inside. If you do this, you will reduce the cost of shipping and you will find yourself saving money as you are building your house. If you have a local stone quarry, you can get stone from there in order to use it in your design. You can use recycled materials. For example you can choose to make countertops from recycled glass, and you can also reuse soils. There are different techniques and types when it comes to this. You will have to discuss this with your designer and also your construction team. Your main objective will be to keep the cold outside of your house during the winter and the hot air out during the summer. You need to be sure that your house is air sealed so for example the conditioned air won`t go out of your house. Closed cell spray foam insulation is going to be perfect for you and it will help you insulating. They will certainly reduce the energy cost and the best part about these is going to be that you won`t have to change the light bulbs for years to come. They will probably cost more upfront but the savings in your electricity bill will be greater.